In a significant Judgment on Friday, Bombay High Court held that women can enter the inner sanctum of Mumbai’s famous Haji Ali Durgah. The Delhi High Court reversing an order of disqualification from Central Armed Police Force on the basis of a history of brush with the penal law ruled that honourable acquittals and petty misdemeanours should not be negatively considered in appraising a candidate’s capabilities for a job. The judgement delivers important insights on how nature and motive of criminality is important to determine the gravity of the offence and the degree of moral turpitude and thereby legitimacy of the candidature. The Court recently held that if by resuming cohabitation the spouse claiming victim of cruelty forgives the other spouse who commits the cruelty, the alleged act of past cruelty cannot be relied upon to seek divorce on account of the cruelty unless they are revived by subsequent acts of cruelty. The High Court on Wednesday issued notice in a Writ Petition contending that restaurants in the capital are charging tax in excess of what is prescribed under the law. Highlighting the significance of “professionalism” in legal education system in the country, the Court stated that the concept of part time law courses robs the profession of its due worth and imparts a ‘second-hand status’. The Gujarat High Court recently directed the State Government to pay a lump sum compensation of Rs 1.50 Lakhs on account of a detainee’s death in Police Custody, to the deceased’s mother within a period of six months. In a recent Judgment the Madurai Bench of Madras High Court directed the Registrar (Administration) to immediately circulate instructions to all Print, Electronic and Media Houses not to publish the names of the Lawyers appeared in the Case, as part of news item. The Bench also directed the Registrar (Administration) to request the Print, Electronic and Media House, not to publish the individual names of the Judges unless it is so essentially required. While setting aside an order of Sessions Judge who had refused to order further investigation upon application by de facto complainant, the High Court observed that Judges and Lawyers should update themselves with the latest trend of law. The Madras High Court ruled against the order of the governments of Tamil Nadu and Puducherry, which made it mandatory for aspirants to clear Teachers Eligibility Test (TET) before appointment will not be applicable to minority institutions, either aided or unaided. A Srilankan national, who was detained in India for not paying ‘over-stay’ charges, could now go back to his country, thanks to Madras High Court, Government Pleader and a Senior Advocate. Read more in LiveLaw. Indian Institute of Technology-Madras was called on the carpet by Madras High Court for ‘Gross irregularities’ in the selection procedures and was directed to carry out due redressal. 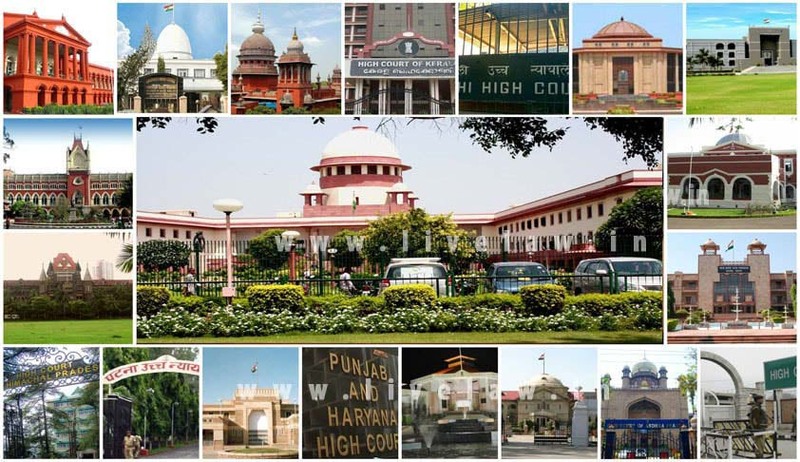 The High Court of Punjab and Haryana recently reiterated the principle that an admission brochure or prospectus has a force of law and needs to be strictly adhered to. Why Dismissal Of SC Staff Who Alleged Sexual Harassment By CJI Is Disproportionate?